An unlucky Falconets team bowed out of the on going FIFA Women U-20 World Cup on Sunday morning in spite of the fact that they won two out of three games. The Falcon beat Spain 2-1 on Sunday morning finishing the group with six points out of a possible nine but got edged out on goals difference after losing their first game 6-1 against Japan. Sunday morning was certainly their best performance of the tournament, but it happened that they left it too late and couldn’t go past the group stage of the World Cup. They needed to win and for Japan not to win in the other Group B match, but the Asians steamrolled their Canadian opponents 5-0 just across the city in Port Moresby, meaning the Nigerian girls would be heading home instead of heading into the quarter finals after wins over Canada and Spain. 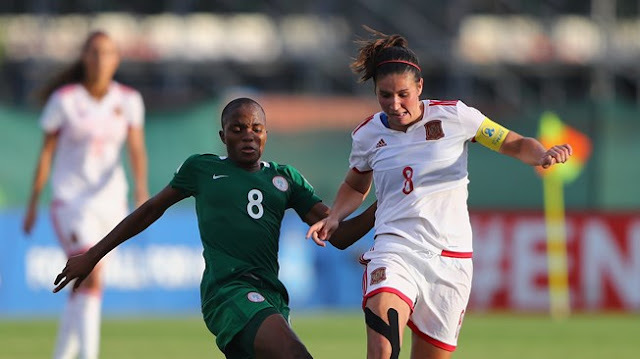 Spain, who walloped Canada 5-0 before defeating Japan 1-0, were ahead after only six minutes when Alba Redondo slotted past goalkeeper Onyinye Okeke as the European vice champions swept into Nigeria’s vital area. However, Nigeria drew level six minutes later, Ihuoma Onyebuchi cashing in on an opportunity in a goalmouth scramble from a corner kick. In the second half, substitute Yetunde Adeboyejo should have scored when put through on goal by the intelligent Rasheedat Ajibade, but she failed to measure her angle well. Stand –in captain Chiwendu Ihezuo raced onto another intelligent Ajibade pass and past two defenders to score the winner in the 72nd minute. 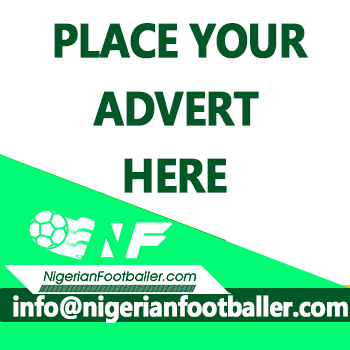 Substitute Aminat Yakubu should have scored a third goal for Nigeria, but failed with only the goalkeeper to beat, as the Nigerians made life difficult for the Spaniards with long balls. Six minutes to the end, Nigerian defender Glory Ogbonna was sent off after a second bookable offence. Although they finished with six points, same as Japan, Nigeria had a deficit of three goals while the Japanese had 10 goals to their advantage. In the end, the Falconets would look back at their opening match against the Japanese (in which they performed poorly and lost 0-6) and wish they had played the Asians the way they played the Canadians and the Spaniards. Nigerian forward Ihezuo was selected as Live Your Goals Player of the Match.